On Friday night the Paris Wildcats easily took care of Dallas Carter 59–12. Paris will play Kennedale this Friday at 7:00 pm at McKinney Ron Poe Stadium. That game will be broadcast on 101.9 KBUS. In 6-man football, Fannindel defeated Gordon 66–48. Fannindel will play Iradell Friday at 5:00 pm in Italy Texas. In other area games Friday, Cooper lost to Winona 37–35. The Bulldogs missed a potential game-winning 32-yard field goal with 7 seconds left. Chisum lost to Troup 50–16. In other area round playoff games this week, Detroit will play Grapeland Friday at 7:00 pm at Athens High School. While Clarksville plays Evadale 3:00 pm on Friday at Beckville High School. Elsewhere, Paul Pewitt lost to Newton 69-0, Hughes Springs fell to Gladewater 35-21, Gilmer upset Sunnyvale 38-24, Paris rolled over Carter 59-12 and Union Hill dominated Coolidge 60-34. 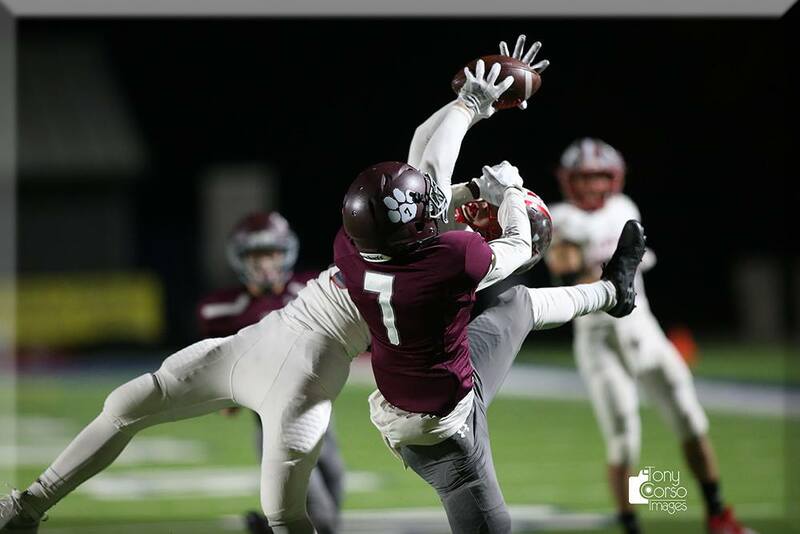 Daingerfield will battle Harmony at Pine Tree Friday afternoon at 2:00 pm, Mt Vernon will take on James Madison at Forney at 4:00 pm, Pittsburg will face Rusk Friday night at Allen Eagle Stadium at 7:30 pm, Paris plays Kennedale at Ron Poe Stadium McKinney Friday at 7:00 pm, Gilmer and Fairfield will clash Friday at 2:00 pm at Athens and Union Hill will take on Milford Friday night, November 30, at 7:30 pm. After the offense only managed 6 points in the first three quarters the Dallas Cowboys erupted for 16 in the fourth including a 42- yard field goal off the leg of Brett Maher as time expired to give Dallas a 22–19 win over Atlanta yesterday. The Cowboys blew a 10 point lead in the fourth but Dak Prescott led the team 51 yards in a minute – 49 for the game-winning field goal. Prescott finished with 208 yards passing while Zeke Elliott had 122 yards on the ground. Dallas will host Washington on Thursday afternoon for the division lead. Washington Redskins quarterback Alex Smith suffered two broken bones in his right leg in the third quarter of Sunday’s 23-21 loss to the Houston Texans, bringing back memories of the similar injury former Redskins quarterback Joe Theismann suffered 33 years earlier to the day. After Washington initially classified it as an ankle injury, coach Jay Gruden confirmed after the game that Smith had broken his tibia and fibula, the two bones in the lower leg, and would need immediate surgery. On the ice, the Dallas Stars took care of the New York Islanders 6–2 on the road Sunday. Esa Lindell and Alexander Radulov both had two goals in the win. While Ben Bishop stopped 37 of 39 shots he faced. Dallas will remain in the Big Apple as the play the Rangers tonight at 6:00 pm. Les Miles has been hired as Kansas’ next head football coach. Miles will receive a five-year contract that will pay him $2.775 million per year, with additional retention bonuses due in November 2020 and November 2022. Led by unanimous No. 1 Alabama, the top six stayed the same as last week in the AP College football poll. Clemson was No. 2, followed by Notre Dame, Michigan, Georgia and Oklahoma. Washington State moved up a spot to No. 7 and UCF jumped three spots to No. 8, season highs for both schools. LSU tied Central Florida at No. 8 and Ohio State was 10th. The CFP poll will be announced Tuesday night. A new FCS passing yards record has been set of 14,584. In the final game of his career at Samford on Saturday, Delvin Hodges passed the late Steve McNair from Alcorn State to establish the mark. Hodges entered the game 316 yards shy of the 1994 Walter Payton Award winner and threw for 404 yards. The Houston Astros acquired infielder Aledmys Diaz in a trade with the Toronto Blue Jays, giving up minor league pitcher Trent Thornton on Saturday. Diaz played both at shortstop and third base for the Blue Jays last season, hitting .263 with a career-high 18 home runs, 26 doubles and 55 RBIs in 130 games. His production improved after the All-Star break, with a .290 batting average and OPS of .856 in the second half.